As a professionally trained journalist, I’ve learned that if you want to establish yourself as a writer with credibility, whether you are writing for a newspaper, a magazine, a book, or a blog, it helps to observe journalistic standards. And, if you want people to take your writing seriously as a piece of credible information, it helps to be careful when you use unnamed sources. Thanks to the Internet, it’s possible to say just about anything – true or not. While there is good information out there, it’s also possible to run into information that is less than credible. One of the things that makes it hard to determine whether or not you can trust something is the anonymous, and semi-anonymous, nature of the Web. 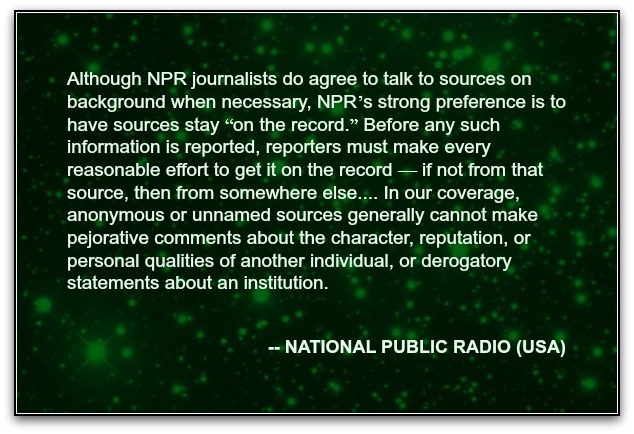 It’s possible to say almost anything about anyone, and not get “caught.” However, even though the Internet seems to thrive on anonymous name-calling, if you want credibility, you need to watch out for using unnamed sources, especially if that source is name-calling. One example is a post written a few years ago on The Verge about the new Digg. While there were plenty of sources cited, there was one, unnamed, “source in the aggregation industry” that was quoted. I understand why a source close to aggregators and marketers might want to keep a low profile on this one. And the first part of the quote, “The fact that these folks are pissed off is a good sign,” I don’t have a problem with, per se, even though I think that there are probably other insiders and experts who would probably have shared similar information on the record. My issue comes in when the source started calling out names, singling out two marketers, and referring to them as “shady online marketing scum who tried their best to ruin the organic Internet.” When you start making those sorts of name-calling accusations, my opinion is that you should have the guts to come clean about your identity. One of the issues with the Internet today is that it is so easy to hide behind anonymity when you want to say something rude about someone else. 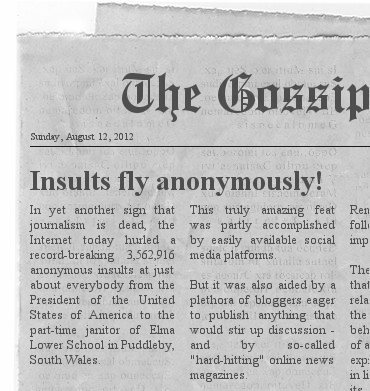 Should you ever use anonymous sources? Most of the time, though, there isn’t much need for unnamed sources. For most stories, you can find people willing to share their names along with their opinions and information. So, do I trust an anonymous source engaging in name-calling, or do I trust someone that went on the record in that self-same article? Anonymous sources call creditability into question. A named source is always more credible than a non-named source. 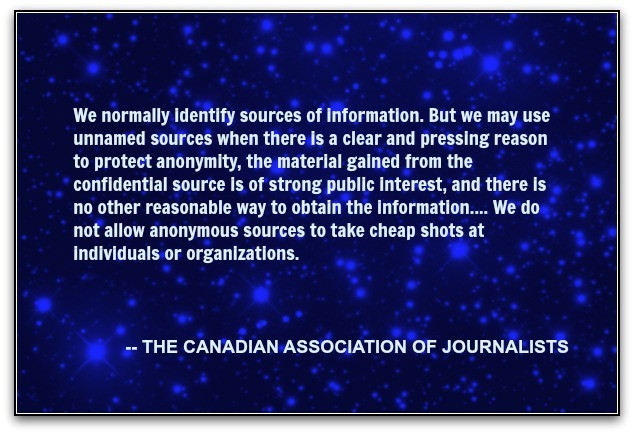 As a result, if you want to be a more credible writer, it makes sense to avoid using anonymous sources, unless you have verified the information as best you can, and you can demonstrate a compelling reason to keep those sources’ names out of it. This post was written by Miranda Marquit, a journalistically trained freelance writer and professional blogger. Her blog is Planting Money Seeds. Fantastic post indeed. Internet is a great source to find anything good or bad. Thanks for sharing about anonymous sources is helpful or not. I enjoyed reading this.